Added Arundel Mandible cages and Speedplay Zero Aero pedals (with titanium +12mm spindles as mandated by my fitter) to finish things off. 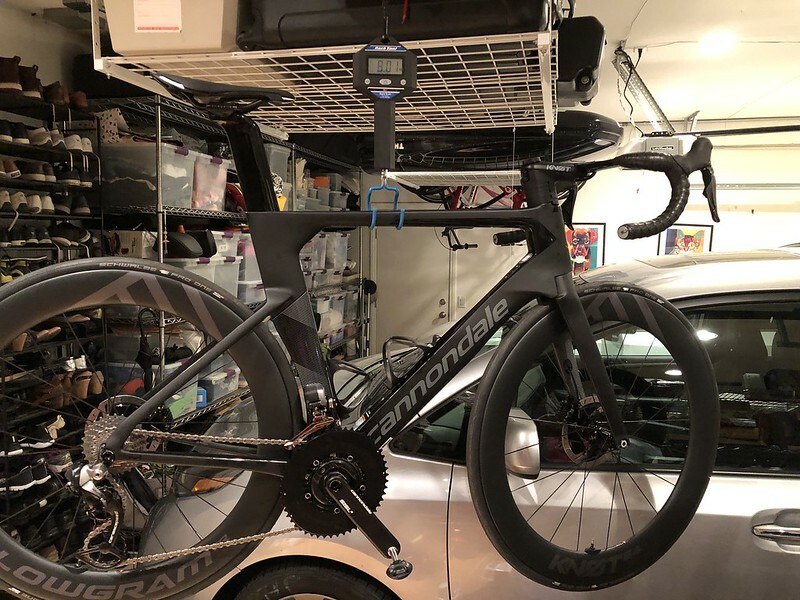 With pedals, cages, and the overbuilt Garmin mount we are at 8.01kg. One thing to note: I thought I would be able to fit Specialized S-Works Power Cranks to save just a bit of weight, but it was not to be. The spindle on that crank is SUPER narrow and the pod on the non-drive side reduces clearance. We were probably 2mm or so away from making it work on this frame, but it was not to be. 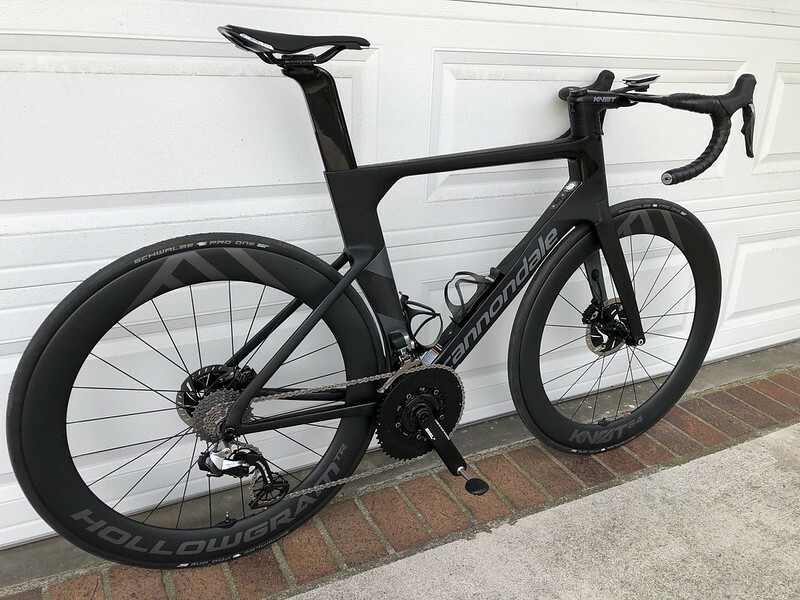 Understand that this is an aero bike but curious to hear how this bike climbs. Nimble? Can you feel the extra weight? Why swap the narrow tires in? Especially considering how wide Knot 64 is (21/32). 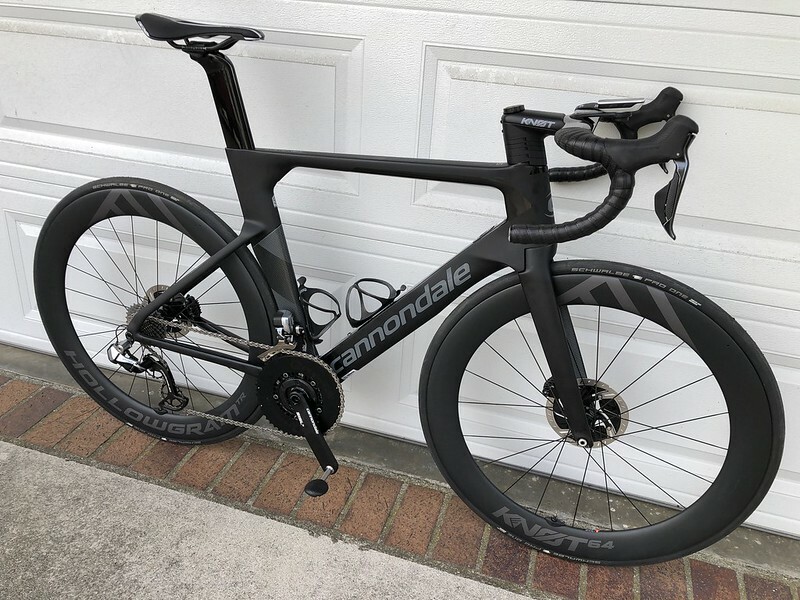 I know Pro Ones run wide, probably about 26mm on your wheels (just like in the ad blurb), but that still leaves place for 30mm measured tires, which would be faster and comfier. Uncompromised speed machine Now can you drop the front spacers and look like a pro? Bike is on indefinite hiatus. Thank you for your 118.34 miles of service. You will be missed. Sorry to see that....what happend? Might have been saved by some really big tires. Looks like you hit a chunk of metal. Happened just after that sandy spot and there was a some debris on the road. Also it looks like there had been some work done with that fire hydrant on the sidewalk. That damage couldn't be spontaneous - the JRA bit was a joke right? Geez I've hit chunks of metal.. Potholes.. And thankfully never had that damage.. I do use 25mm tyres as a minimum.. 23mm exposes the rim edge? Was this tubeless or with tube? 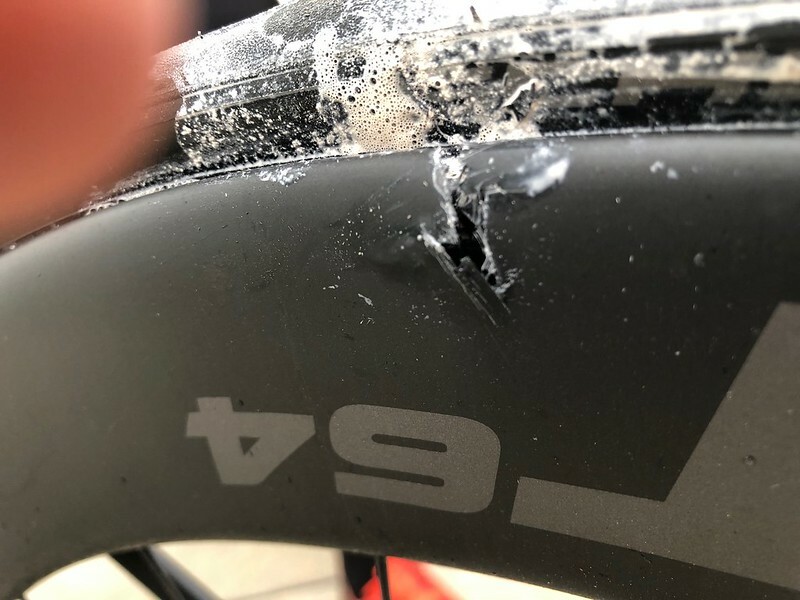 If tubeless could air pressure have made it into the rim cavity and blown out the rim wall? I thought it was impossible but apparently it's a thing. Or at least Enve think so.